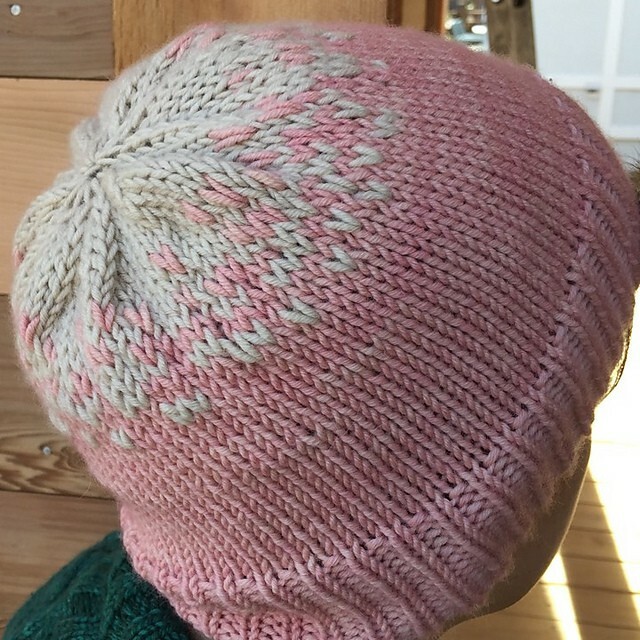 Here's a quick last minute gift from a brand new free pattern from the Plucky Knitter, The Conversationalist Hat. I took a few liberties with the pattern, doing a bit of random "pixelating" (stranding the yarn) at the change between the colors, rather than having a firm demarcation, as the pattern dictates. 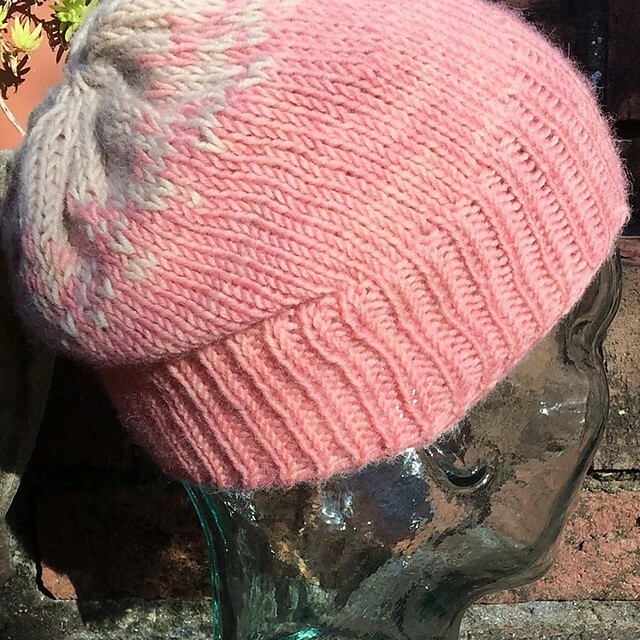 A fun, quick knit with great gifting potential. I'm still deciding between a traditional yarn pom pom and one made of Alpaca. All told, this took me less than half a skein of each color in snug worsted (pink a boo and twill) and only a few hours to knit. And, you can literally knit this one while carrying on a conversation once you get the tubular cast on done. It's a fun pattern. This one is a gift, but I'm tempted to do another for myself.